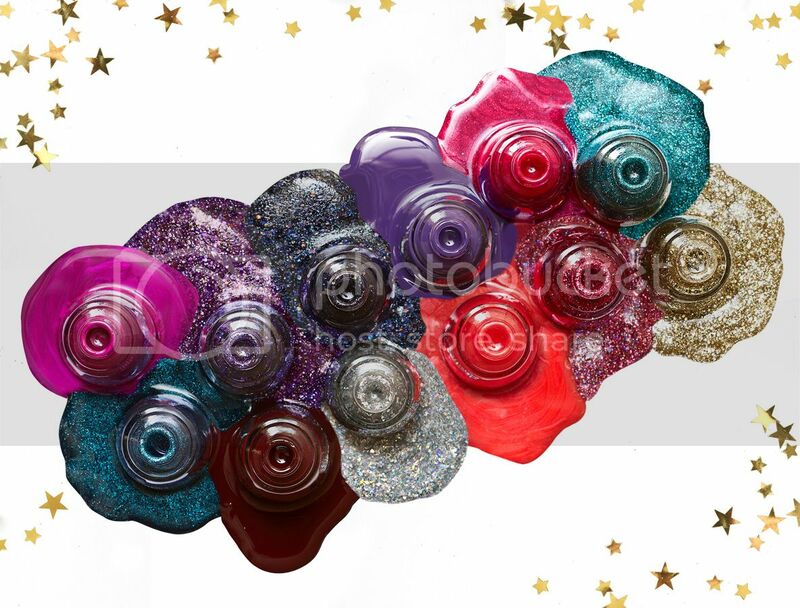 After a year full of colorful adventures, China Glaze ends 2015 with a bang and burst of glittering confetti. Pop the champagne and celebrate the New Year with the Cheers! Holiday 2015 Collection. These twist-on-traditional shades create party-ready manicures while the gift sets and nail art kits make perfect party favors, stocking stuffers and gifts (shhh, I won’t tell if the gift is for yourself!). Ring in the New Year with 12 new colors including awesomely named shades like Ugly Sweater Party, Better Not Pout, Peppermint to Be and Son of a Nutcracker. 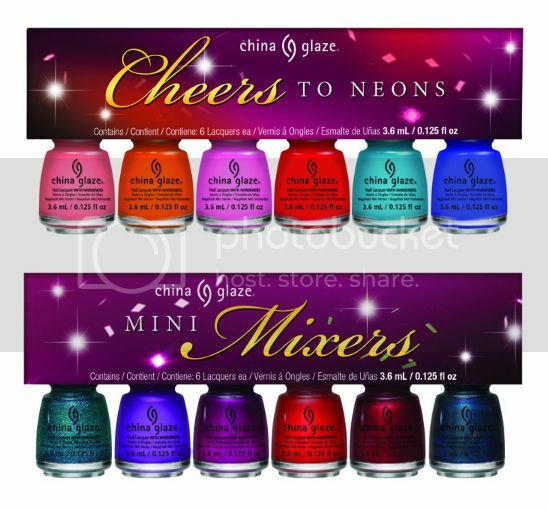 Toast the start of 2016 with festive gift sets including micro mini bottles of Cheers! 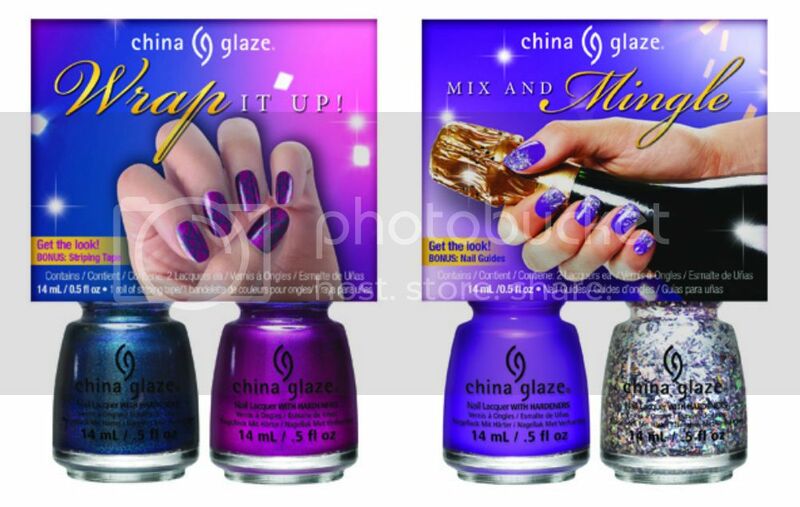 shades or China Glaze’s best selling neons, and a gold-toned Cheers ring paired with three shades. Raise a glass with the merriest nail art around created using three new nail art kits - Have a Dapper Holiday for a simply yet chic striped design; Mix and Mingle half-moon or gradient French mani; or Wrap It Up like a present with a striped look. 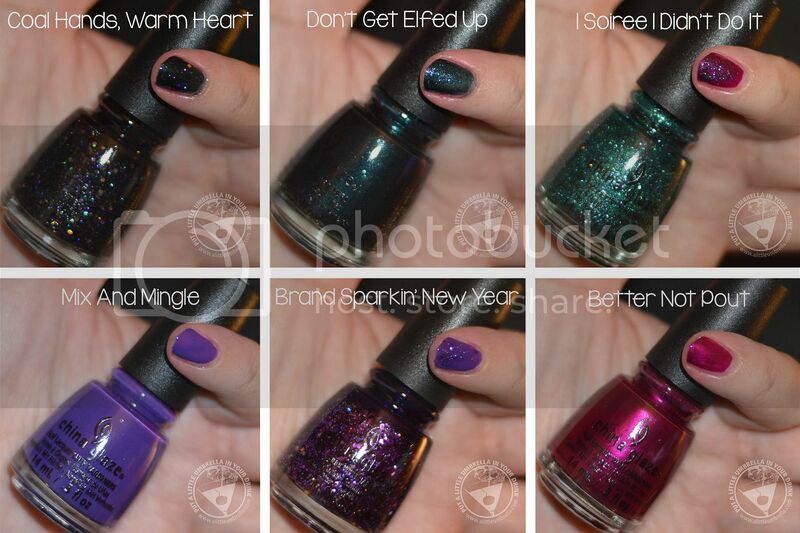 I love this bright and sparkly collection! My favorite shades are Better Not Pout and Son of a Nutcracker. How much do you love those names? Those darn nutcrackers. Cheers! is featured in my 2015 Holiday Gift Guide. Buy It :: The Cheers! Holiday Collection can be found at Sally Beauty Supply.